Stay At Home Mom: A Destiny or A Choice? For decades and decades, when motherhood and career inevitably cross roads, each and every mother falls into the trap of hesitance: Should she give up to the destiny of becoming a stay at home mom or forever live with the guilt feeling of jeopardizing her children’s well-being for the sake of putting on the double-hat of a working mother? A study conducted by the Harvard Business School including over 24 countries suggests that both sons and daughters benefit from the positive role model of a mother with a career. Daughters have better careers, higher pay and more equal relationships, whilst sons become better men – more involved at home and taking more time caring for their own family – than those who grew up sheltered by stay-at-home mothers. Being more exposed to the outside world, working mothers develop a wider education and a skill set that they transmit to their children enabling them to reach leadership positions and have a greater contribution in the social and the corporate world. Usually in families with working mothers, each person plays a more active role in looking after oneself and one another, growing more independent at younger ages. Working mothers value the time they have to spend with their children and put more effort on making it less tensed and of a better quality. They tend to practice interesting activities with their children leading to a more exciting life and better emotional stability. We live in a world of unstable economy. A working mother is a helping hand to the family financially. A working mother develops a set of skills which boosts her feeling of value not only to her family but also to the society. She leads a life with purpose especially for the time when her children grow independent and ready to have a life of their own. Mothers who live with the idea of having had to sacrifice their professional life to raise a family are more prone to depression. A 2012 US study shows that working mothers have better mental and physical health due to the higher levels of energy and mobility and the break they get from the daily routine. Being an income generator and the ability to be financially independent add up to a woman’s confidence, self-esteem and feeling of security. “Whether it’s flexible hours, the opportunity to work closer to home or to their families at least some of the time, or the option to choose video conferencing over business travel, these changes incentives are key to helping more women back into employment and driving the workplace into the future”, says Meghan Ashby from Regus. 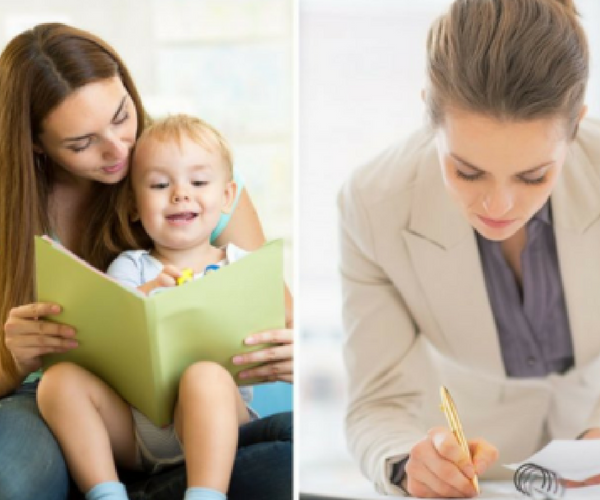 Motherhood is a unique experience requiring multitasking, quick decision making, conflict management, delegation and motivating others that a working mother acquires and puts in practice on the job. Now, it is up to us – mothers, family members, organizations, society and government – to put the right infrastructure in place to allow ourselves to benefit from all what a working mother has to offer. Motherhood is a sacred calling; it is a right every woman should have without having to add her professional life to the list of sacrifices she has to make to raise a family. Women should have the freedom of choice to be a stay at home mother or a working mother. Let us not label being a working mom as a sin and being a stay at home mom as a sacrifice but instead let us create systems that will give room for both.